« Here Comes the 29th Annual Savannah Music Festival! The annual SCAD Sidewalk Arts Festival draws out a host of talented SCAD students and alumni to create some of the most amazing chalk art you’ve ever seen. Saturday, April 28th, 2018 in Savannah’s Forsyth Park. The annual SCAD Sidewalk Arts Festival in Forsyth Park is one of the most amazing chalk art events around. 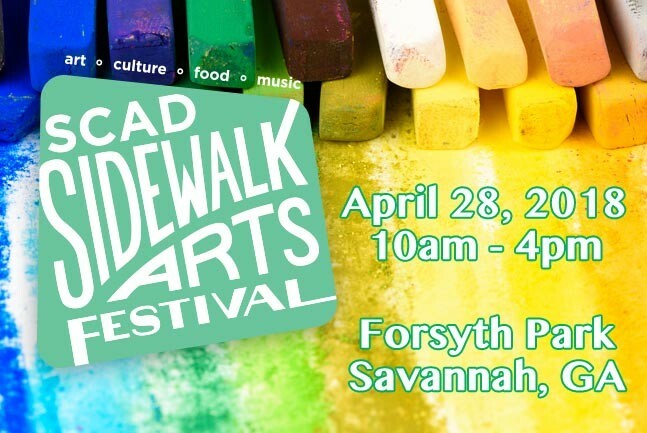 The Savannah College of Art and Design (SCAD) holds the event every year, transforming Forsyth Park’s paved walkways into an open-air art gallery. When most people think of chalk art or sidewalk art, they tend to picture the scratchy, klunky art that children leave behind. Not so at the SCAD Sidewalk Arts Festival! You’ll be amazed at the color, detail, and finesse someone with real talent can pull off using chalk on a rough slab of concrete. These are true artists! During the SCAD Sidewalk Arts Festival, students and alumni of the school will compete, as individuals or teams, to win prizes of up to $1,500. Chalk distribution begins at 10am and the drawing at 11. Before you know it, colorful chalk designs begin appearing all through Forsyth Park. You’ll also likely see a number of tableaux vivants or “living pictures.” Tableaux vivant involves silently modeling a scene as if it were a photo or painting. The subjects, usually in costume and carefully posed with props, remain stationary and silent. When done well, it is a fascinating combination of both theatre and visual arts. Winners and prizes at the SCAD Sidewalk Arts Festival will be announced around 4pm. If you want to watch as the art develops, be sure to arrive around 11am. If you’d prefer to see finished works, plan on arriving sometime after 2pm. 2018 marks the 37th return of this beloved art festival, making it almost as old as the school, itself! The festival occurs in conjunction with the 2018 SCAD Family and Alumni Weekend. While non-SCAD students or alumni are not allowed to participate in the contest, there are sections of walkway set aside for those who find themselves inspired. All you’ll need is chalk and your imagination. 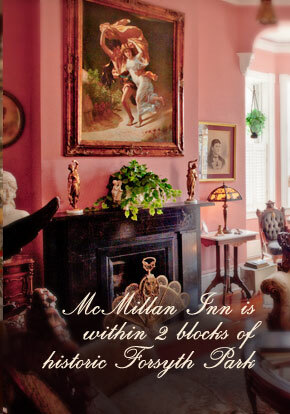 McMillan Inn offers unrivaled quality, comfort, and convenience in our historic Savannah B&B. 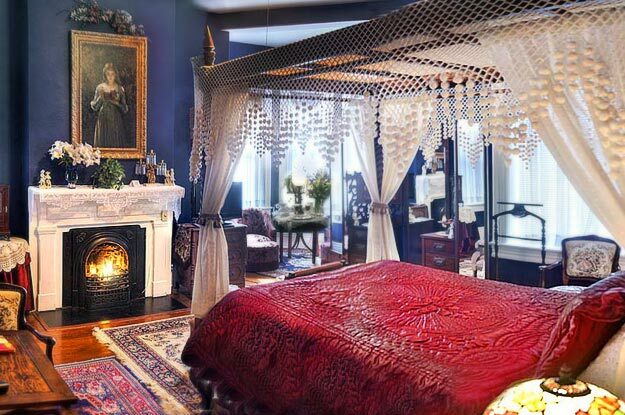 Our lovingly restored, 1888 inn is located in Savannah’s downtown historic district. Don’t settle for some stale, cookie-cutter hotel or motel on the outskirts of the city when you can stay in real comfort, right in the center of the action. Reserve your room at McMillan Inn today!